If you haven’t seen the last few posts; big changes are in store! Progressionofme has a new home. As of today, this blog will no longer be active. It will still be live for another month or so as a bit of a “changeover” period; but after that it will be deleted. Please head on over to: www.progressionofme.com and subscribe. A sneak preview of the new home! Thanks so much to all of my followers; for following my journey so far and I hope to see all you at my new home. I am so excited for what the future is going to bring for Progressionofme. So finally I can let you all in on my news! Progressionofme has a brand new home and the website will go live tomorrow! So please check back here then for the link so you can head on over and check it out! I am super excited to be moving in a slightly different direction and eventually I hope that the website will align with my career. This blog will still be here for a while but will no longer be active after tomorrow – so please subscribe to the new page. I will be updating it more regularly than this site has been and there are a few surprises too. Yes, I know I disappeared again for a while – but this time I have been busy planning some big changes! Progressionofme will soon be moving on to bigger and better pastures – so please hold tight and watch this space. 6 weeks ago, I joined up for the June round of the Michelle Bridges’ 12 Week Body Transformation (12WBT). The past 6 weeks have been the “pre-season” and involved 2 tasks and a weekly challenge each week to mentally and physically prepare you for the program. Yesterday was the first day of the program, in which you are provided with a weekly menu and exercise program. Like the pre-season, each week there is a Weekly Challenge and as Michelle says “In order to know how far you’ve come, you need to know where you started”; so this week the challenge is to write a letter to yourself. I decided to write my letter here on my blog. That way I am putting it right out there. Keeping myself more accountable than I could otherwise!!! It’s also easier for me to look back on at the end. So here goes…. BUT I am also excited. Yesterday was day one and I smashed it! I made breakfast and lunch from the recipes on the menu plan and they were delicious! And for lunch, I was out and about so instead of making the sandwich on the menu myself, I went to a sandwich shop and ordered it there. I could have easily made some excuse but no, I didn’t and felt super proud of myself afterwards. I guess that’s the reason I’m scared… in the past I’ve given up… I’ve made excuses and I’ve given in to temptation. Hence why I’m here. In April last year I completed a 5km fun run without stopping – now, I can’t even run 1km anymore!! I’ve put on the weight I lost and I’m not feeling healthy. I am determined to get back to where I was. I’ve done it before, so I can certainly do it again. The biggest challenges I am going to face will be my willpower! Talking myself out/around things. I need to stop that! I need to cut the crap and excuses and JFDI!!!! Organisation is also going to be a challenge as I’ve never managed it for long previously. So my diary is going to play a bigger role than ever. And ensuring I have done the grocery shopping for at least the next day. It’s really not hard – I need to tell myself that! The achievement that will make me the proudest will actually be cooking some decent meals! Getting out of my comfort zone and actually learning to love the kitchen! And of course hitting my goal weight. That would be a HUGE achievement for me! For me, I need support; and the biggest support of all are the people I see regularly. My partner, my family and his family and our friends. The problem is – all of these people can potentially be saboteurs too. I need them to encourage me – I thrive off being told I am doing a good job. I am not so good with criticism. I guess most people would be the same! The hardest thing is when a friend or family member says “Would you like a [cake]… come on, one won’t hurt!” – they may think they aren’t doing anything wrong but it’s really difficult and not fair! And that’s it. I CAN do this! (Look how I’m going with my Dechox challenge!!) I just need to trust and believe. It’s not about the destination…. it never is. It’s about the journey – and I want to make this the best journey I can for me. Help me help the next generation! I took a bite…and then another…and then another. And before I could help myself, within an hour he was gone! Afterwards I felt sick and kind of annoyed at myself. 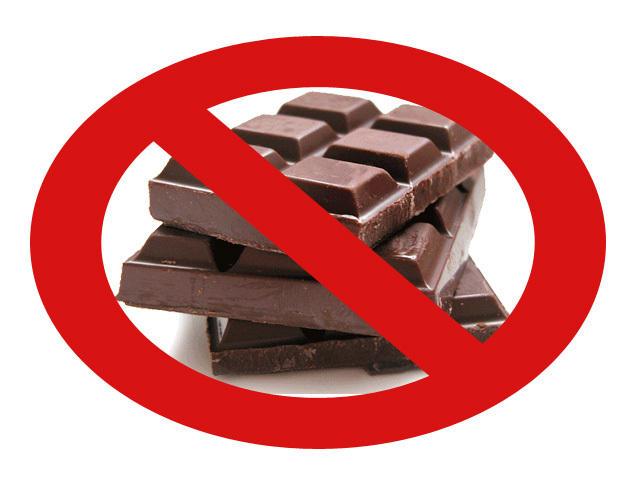 Why is chocolate so addictive? Why can’t I simply have one bite and save the rest for later? It’s not only at this time of year. It’s ALL THE TIME!!! Chocolate is no longer a treat in our society…easily sourced and often on special!!! It has become part of many people’s every day diets….why is this? I have decided to give up chocolate. After my gorge on the Easter bunny, I wondered to myself how long I should go without it for. A month? Three? No..I decided on 6. And then I thought, why not make it worthwhile. I wondered if there was such a thing as “Give up Chocolate for Charity”. I googled and came across a campaign called “Dechox” run by the Heart Foundation in the UK. Basically, you give up chocolate and raise money for the Heart Foundation. Great idea, I thought! But for one, it’s in the UK and two, it’s finished for the year. I then thought to myself, what if I raised my own money for a charity of my choice. Is that even possible? And lo and behold it is! Through mycause. You can choose the charity and how much you wish to raise and with a few clicks of a button it’s done! Too easy! So which charity did I choose? It’s not a charity many people will have heard about and in fact they don’t get ANY government funding. They rely purely on grants and volunteers. The charity I chose is the Children’s Food Education Foundation; whose aim is to “reduce the risk & incidence of diet related disease by engaging, educating and empowering children & young people to make mindful food choices”.